King's most recent book shares a title with Camus' famous 1942 existentialist novel and makes a slight head fake at some of the ideas bandied about in that book. But this is King, not Camus, so you already know that concepts such as the human desire to express and receive love, and pity for those lacking such connections will eventually show up. And they do. 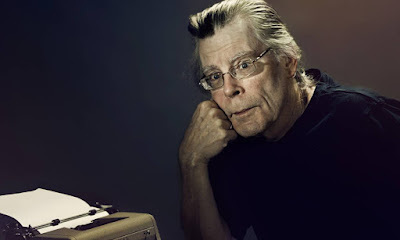 I can't read as often as I used to but I can't think of too many modern novelists in any genre who can so quickly and seamlessly build true life characters as King. 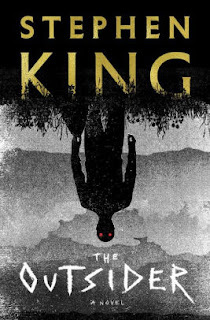 There have been King plots I didn't care for and occasionally some settings or themes I wasn't crazy about. But his characters have always leapt off the page, at least for me. And this book was no different. Here, King moved the setting from his beloved Maine to small town Oklahoma and Texas. YMMV on this. King did the research. None of the characters employ Maine drawls or aphorisms. On the other hand, although the book is set in the present day, some of the adult characters, who are mostly in their thirties, forties or fifties, have memories of key life events that would really be more in line with momentous occurrences in the life of a seventy year old writer from Maine. A 45 year old in 2018 probably won't remember where they were or what they were doing when John Lennon was assassinated. You will notice this occasional dissonance. Although I don't like it, physics shows us that matter, in the form of electrons, can be in two separate places at the same time. Even more weirdly, observing one electron can impact the behavior of its "twin", at a distance. Apparently this only happens at levels that are far too small for humans to perceive. In our reality I can't simultaneously be at home writing this blog post and also doing the same thing at work. Ralph Anderson is a police homicide detective in Flint City, Oklahoma. Ralph must capture the person who committed a horrible crime upon a child. All the evidence points to one man, local English teacher and Little League coach Terry Maitland. Shaken by the crime and grimly convinced of Terry's guilt by the sheer boatload of eyewitness and physical evidence, Ralph and the local DA decide to publicly arrest Terry during a night baseball game when Terry's family and much of the town's population are in attendance. This isn't normal protocol but given that Terry also coached Ralph's son, it is very personal for Ralph. It's all he can do not to put hands on Terry right then and there. Ralph wants t0 humiliate Terry and strip away what he thinks must be the veneer of humanity. Ralph feels responsible for not having sniffed out this monster previously. There's just one problem. Terry insists he's innocent. Terry doesn't act guilty. Terry has resources, in the person of an indefatigable defense attorney, one Howie Gold. But even better than a bulldog defense attorney, Terry has unimpeachable physical proof showing that he could not have committed the heinous act. Actions have consequences. Just as a rock thrown into a pond causes ripples the murder of a child causes hardship for that child's family and eventually Terry, Ralph and their families. This books morphs from a legal/police procedural into something else. As characters point out, "there's no end to the universe" and "the world is full of nooks and crannies". King ensures that the reader is rarely ahead of Ralph and his associates in their search for truth and justice. This heightens the mystery and anticipation. A character from King's Bill Hodges trilogy makes a welcome appearance. Many writers have used this "band of brothers (sisters)" tool. It still works. Often King uses a Renfield like character to summon evil. That person, think Harold Lauder from The Stand, frequently has some legitimate grievances or tragic wasted potential. King repeated that motif here, but I thought that character didn't get enough time. I appreciated King's examination of how families and married couples have their own rituals, languages and modes of unspoken communication. These may be incomprehensible to those outside that circle of trust or pair bond but those quirks are what make us all individual and human. King takes a few political shots (and you can't be surprised by these if you ever view his twitter feed) but nothing over the line or under the belt. This was a good read.